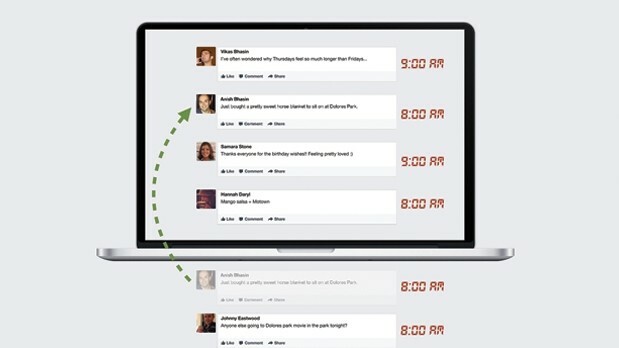 Have you missed some of the news feed updates when you logged in Facebook last time? There may be some important status updates that you may have missed. Many log in to Facebook daily with the Gmail account. Before they begin the work online and also after they close the computer. If they find some updates missed which was done last time after you logged off from Facebook account, then there is no information available for you to make effort to find. The updates will be there itself in the old stories, but you will not be informed. Say for example, you have logged in last night and after that it is 4 noon, till that time, if your friends have posted something exciting in the news feed , then it will be below the page or at the bottom of the page or will be in the older stories. What a basic human tendency is, to read the upper part and sometimes we don't scroll down fully the news feed. So what happens is most of the updates in the news feed are unseen. To improve this, the Facebook team has recently announced the "Story Bumping" feature, that will solve this problem. What happens is , with the change in the news feed algorithm, what you have missed can be read on the page. The Story Bumping will go through what are the latest updates in the news feed you have missed and will display with time and date in front of you . In the News feed, what Facebook will do is it will remind you that which stories or updates you have not seen or gone through. The slight change in the News Feed Algorithm , made every possible way to roll around the status updates. The daily routine of checking what's happening in the Facebook of any individual will be mostly, looking what others have posted, what are the comments others have written, which photo has got more likes, which story or update has been most shared etc. If we look at this new feature that is introduced by Facebook, which is Story Bumping feature, many will not miss any single status updates or images being shared by others. So, the latest in the world of Social media is Story bumping and two others which will be updated in my next post in this blog. There is again a new feature that is announced recently, called as "Last Actor". To know about it, visit the post. So keep using story bumping and other features in Facebook. There is lots more to come.